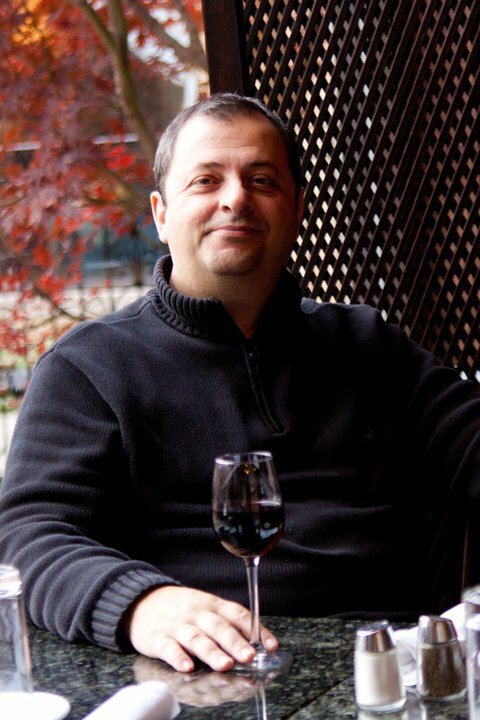 Louie Alexakis is the current Chef/Owner of Avli Estiatorio, located in Winnetka, IL. Louie grew up in the food business, whose family started in the early 1900's in Chicago with the Athenian Cafe in 1915. He learned the management side of the food business growing up and working for his Mother and Father, who owned a chain of Concession stands in the Chicago Park District for over 50 years. In 1989 he opened his 1st restaurant in the acclaimed China Club nightclub in Chicago. In 1993 he was hired as an assistant manager at the Greek Islands restaurant, the nation's busiest Greek restaurant. In 1995 he left to open his 1st Greek restaurant, Ouzeri, Chicago's first Greek tapas restaurant, in the Lincoln park neighborhood. There, working with staff that had experience from some of Chicago's best restaurants, Louie proceeded to be more creative with Greek cuisine. He returned as the general manager of the Greek Islands from 2000 to 2007. In 2008, while attending a Seminar on Mediterranean cooking at the Culinary Institure of America, Louie met Diane Kochilas and shared his vision of offering creative and regional Greek cuisine in Chicago. Avli Estiatorio was opened in 2009 and was named one of the best new restaurants of by Northshore magazine, has won two awards of excellence from Wine Spectator magazine, and has been featured and reviewed in numerous publications like the Chicago Sun Times, Sheridan road magazine, and New Trier magazine. Recently, the restaurant had receipes featured in Plate magazine, a national chef's publication and on "The Hungry Hound", Chicago's ABC news food and restaurant show hosted by Steve Dolinsky. Avli consulting Chef Diane Kochilas and Louie Alexakis can also been seen for the second year in a row at the 2011 Chicago Gourmet festival, held in Millenium Park at the end of September.